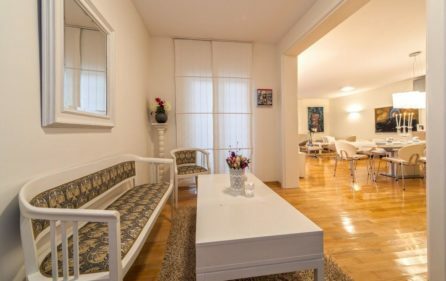 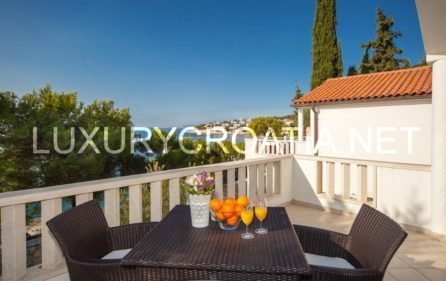 Luxury villa with pool near the sea in Primosten : the Luxury villa has 3 separate apartments with total occupancy for 12 persons. Situated near the sea luxury villa is a perfect place for clients who don’t want to use the car. Have your breakfast with the sounds of waves. 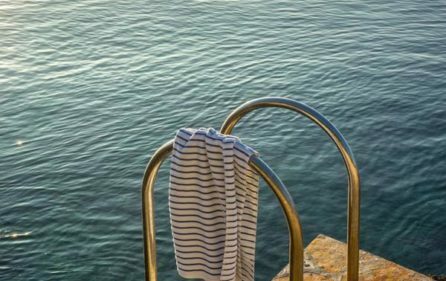 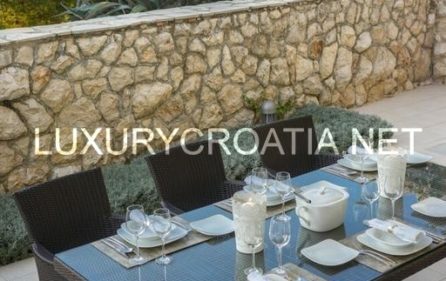 Villa is located in the first row to the sea with only 10 steps from a small beach which offers peace and quiet, but only a kilometer away to the town center which offers many beaches of all types and amenities adjusted for all ages. 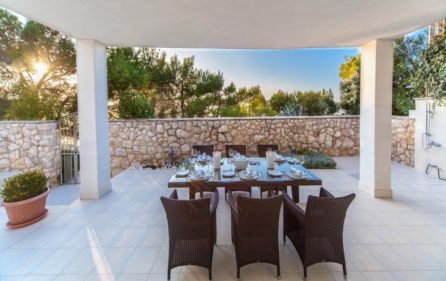 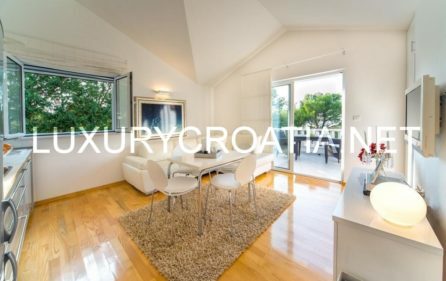 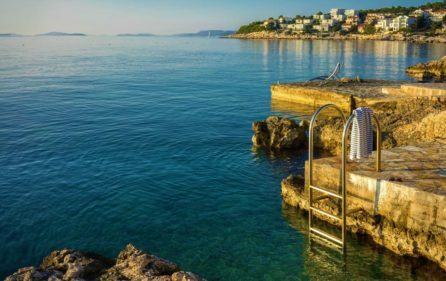 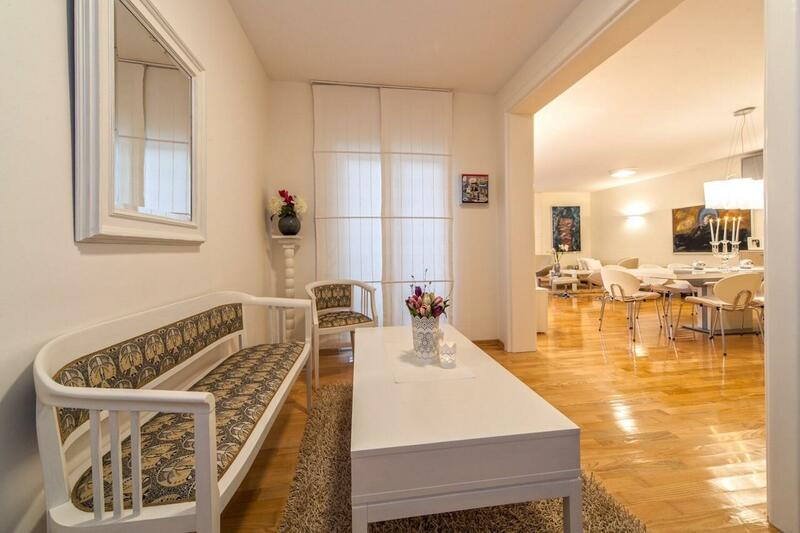 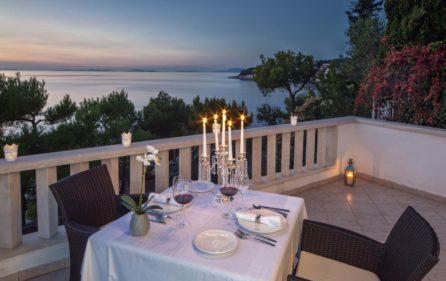 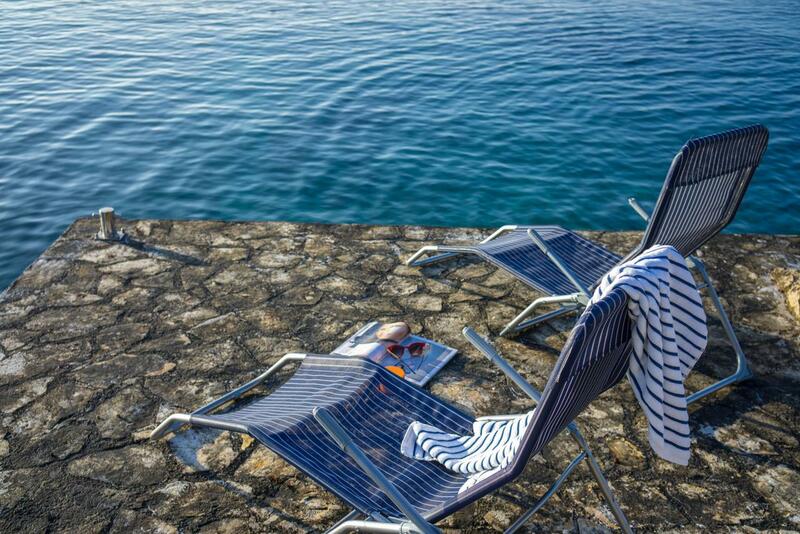 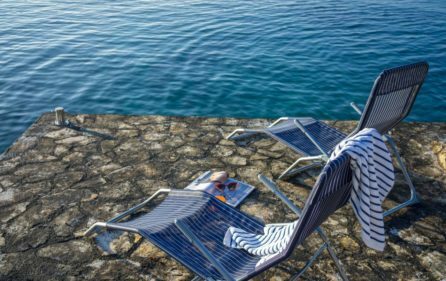 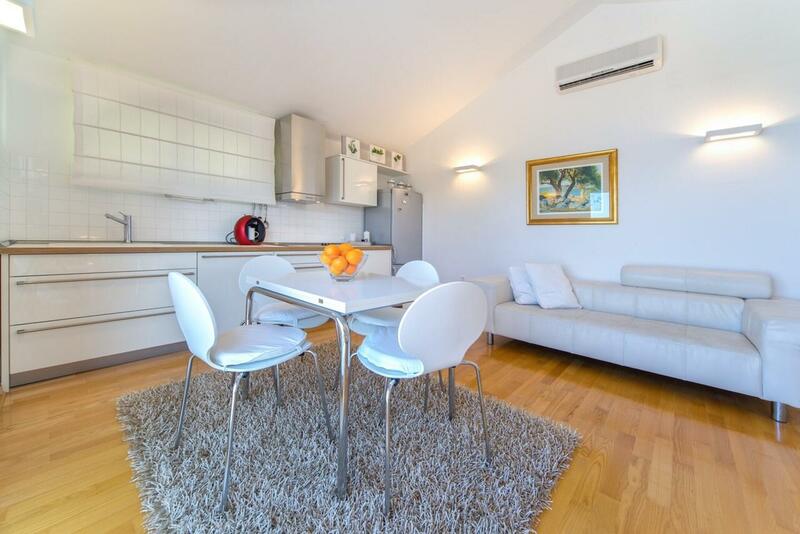 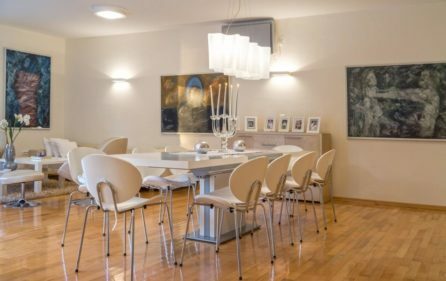 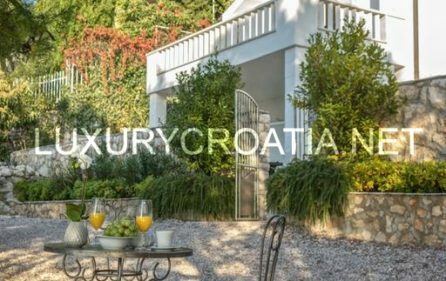 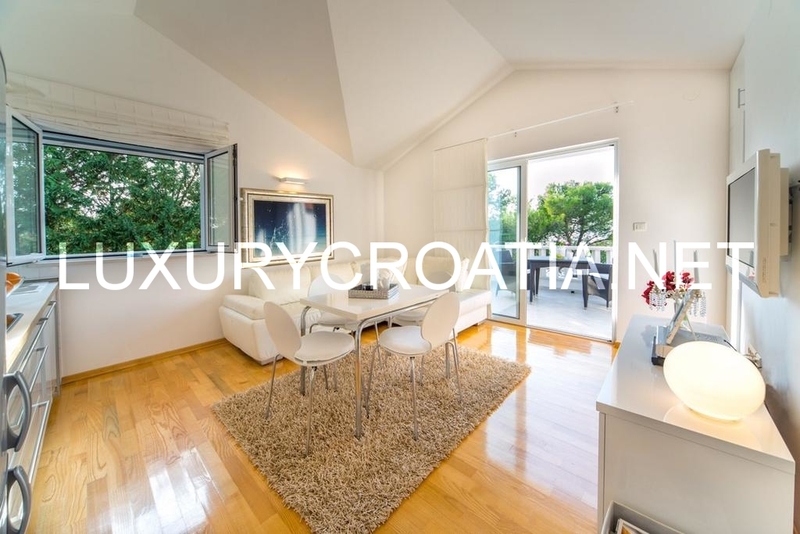 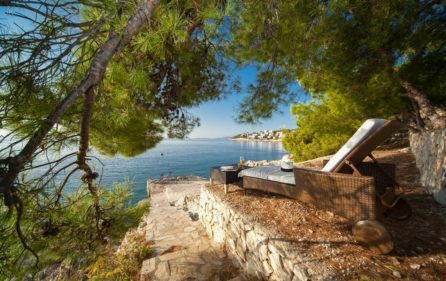 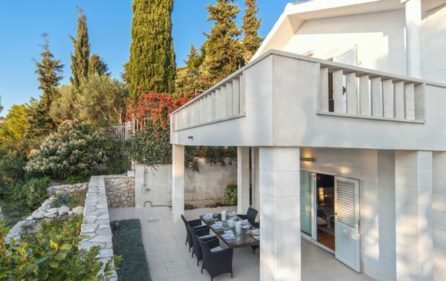 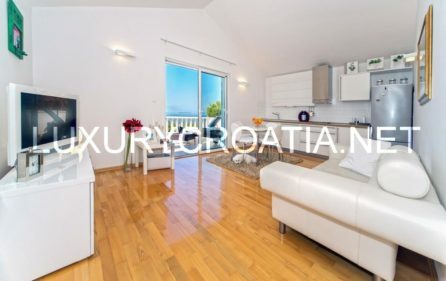 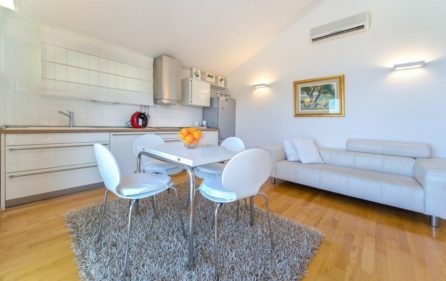 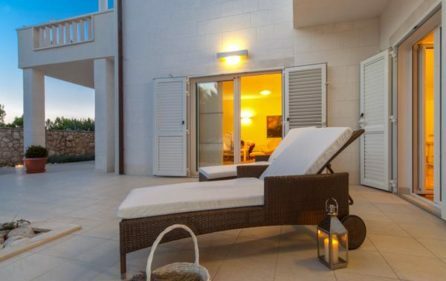 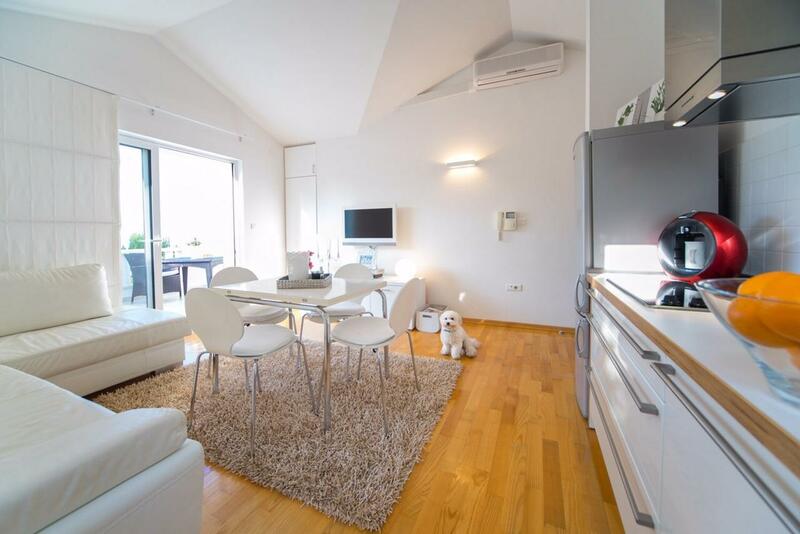 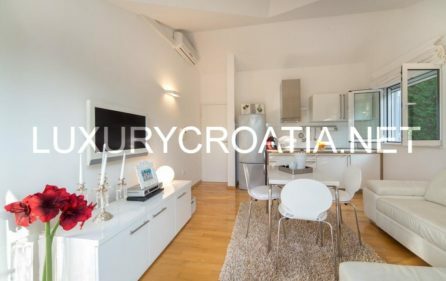 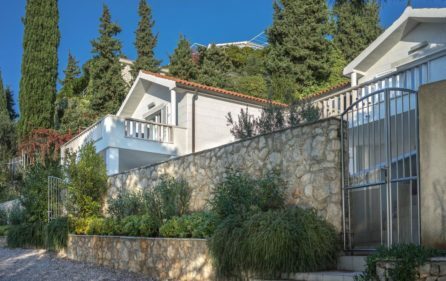 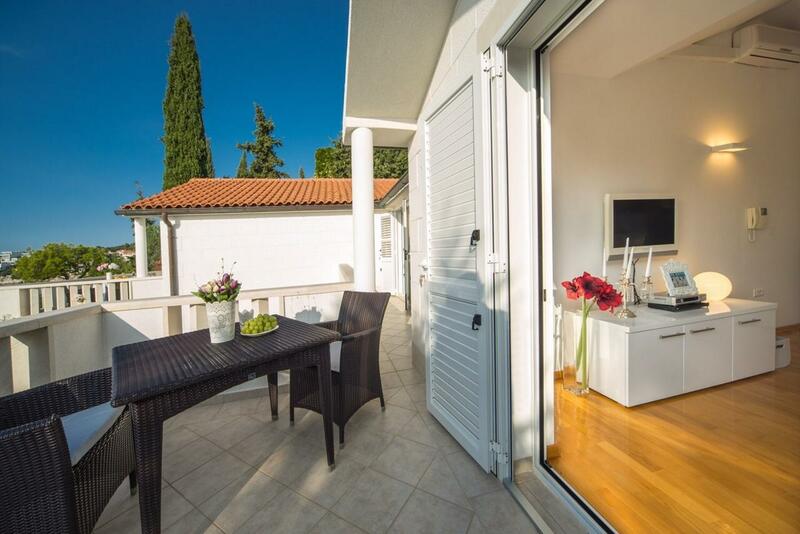 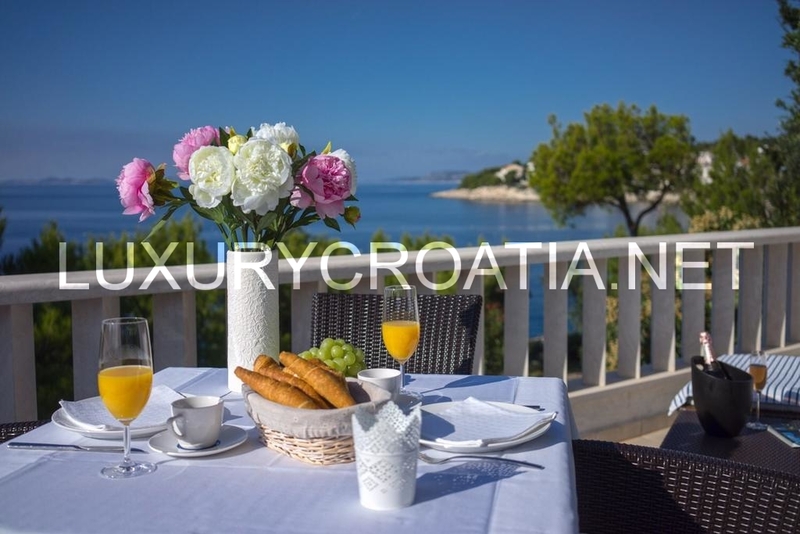 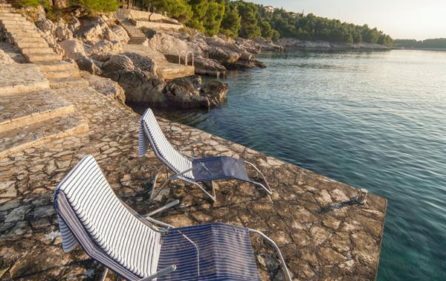 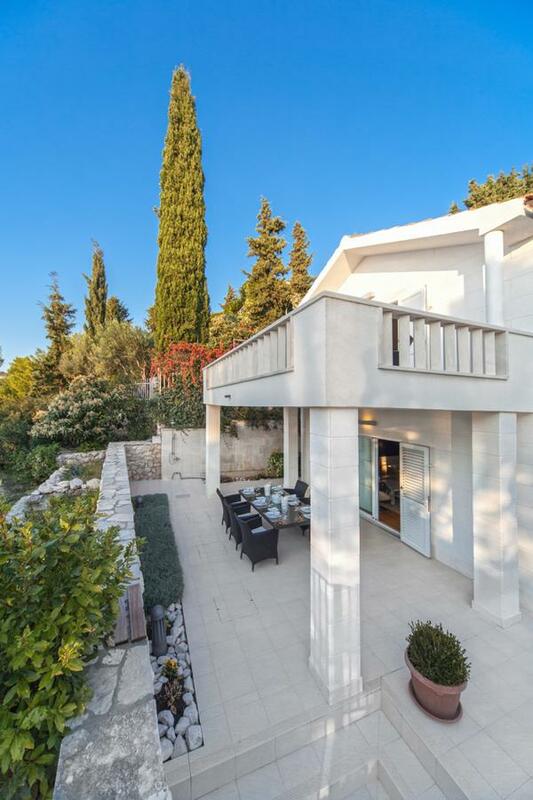 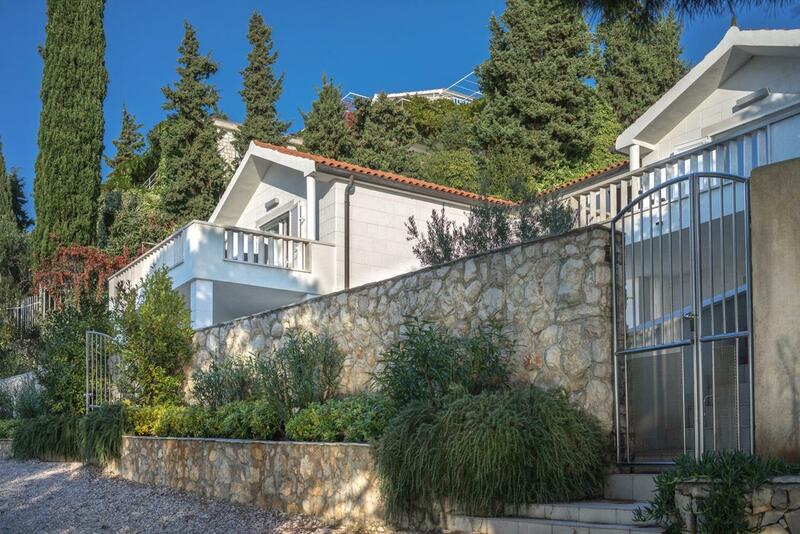 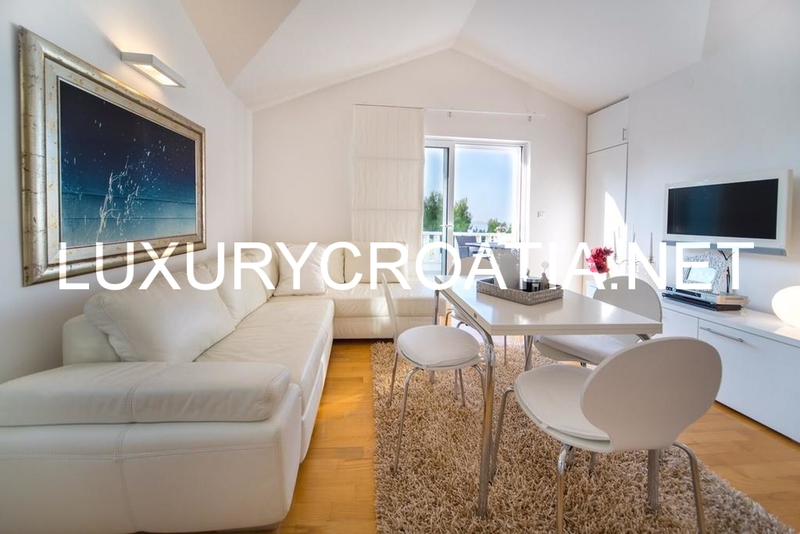 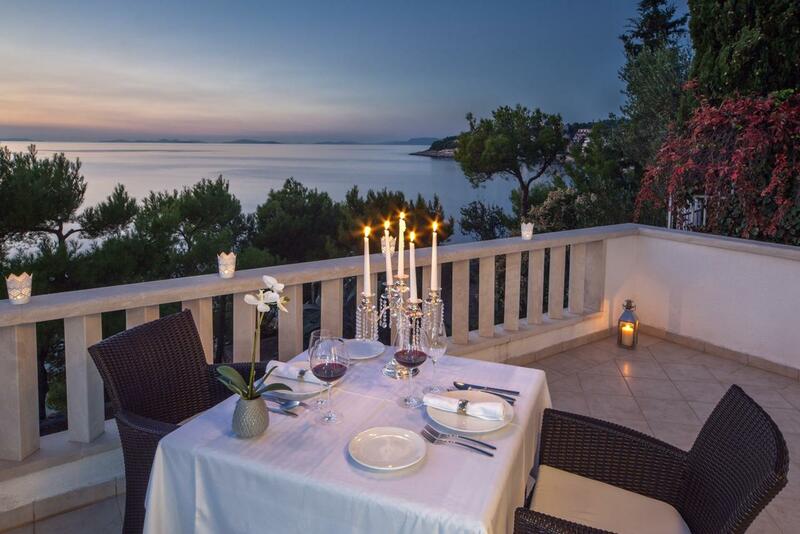 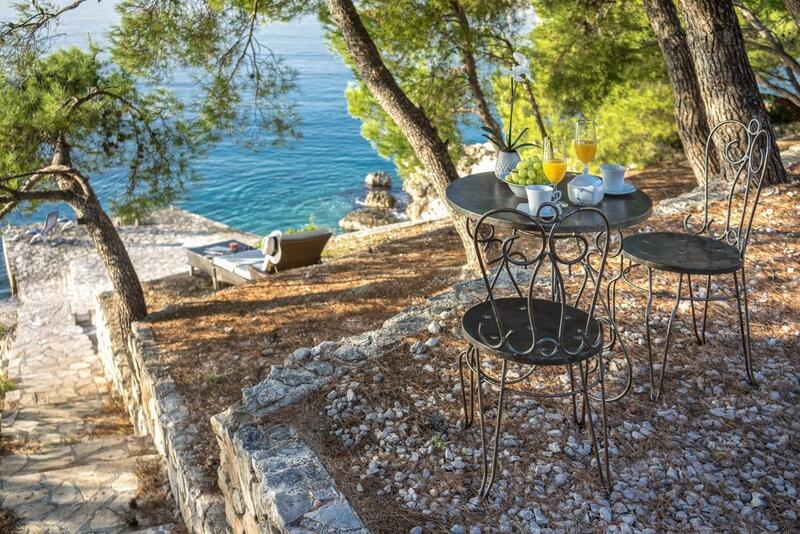 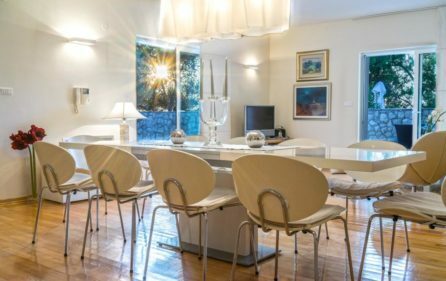 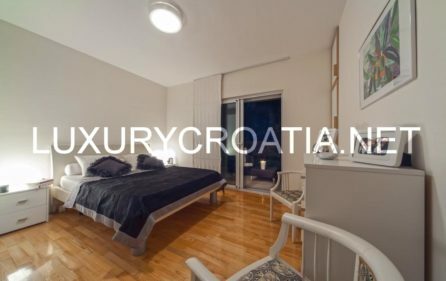 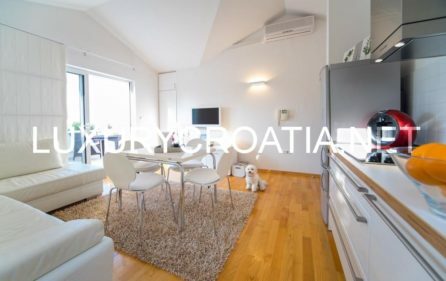 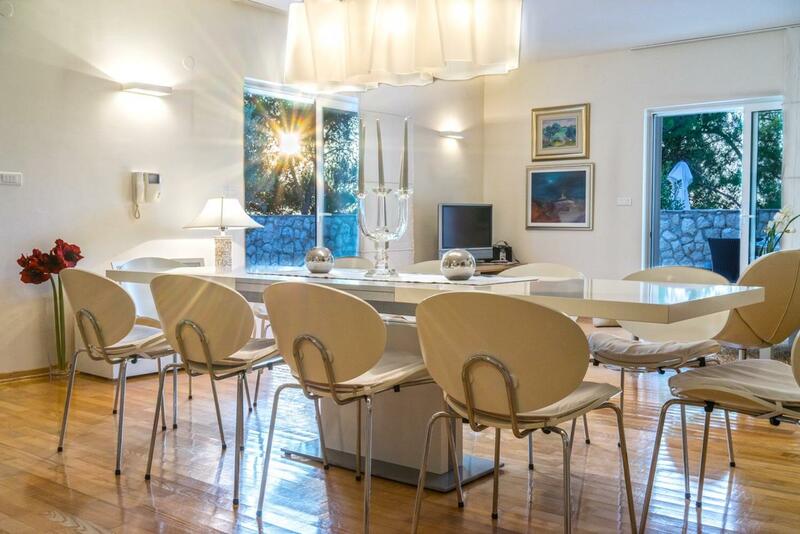 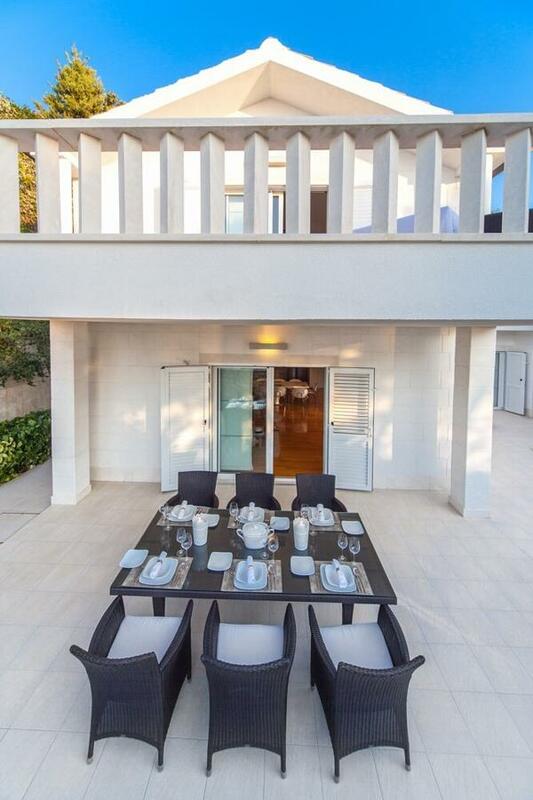 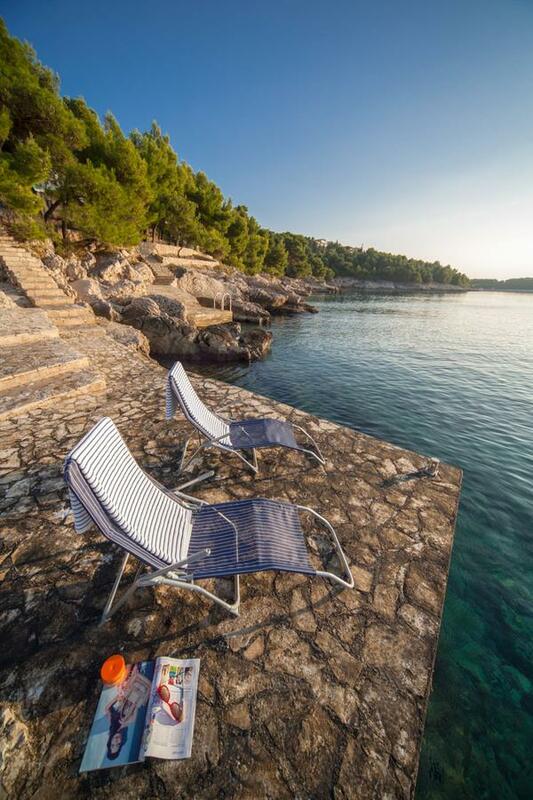 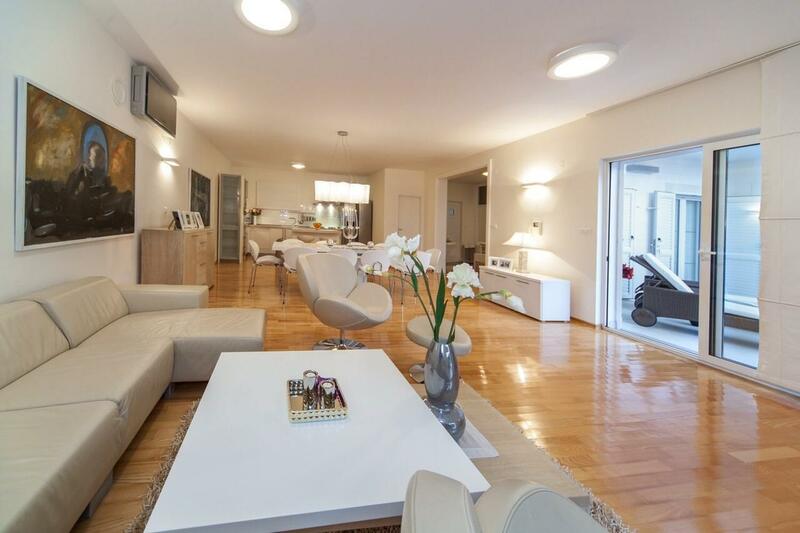 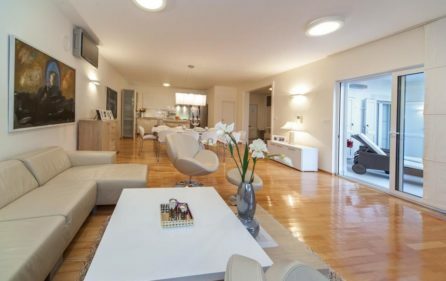 The villa is located in Primošten, this air-conditioned luxury villa features a terrace. 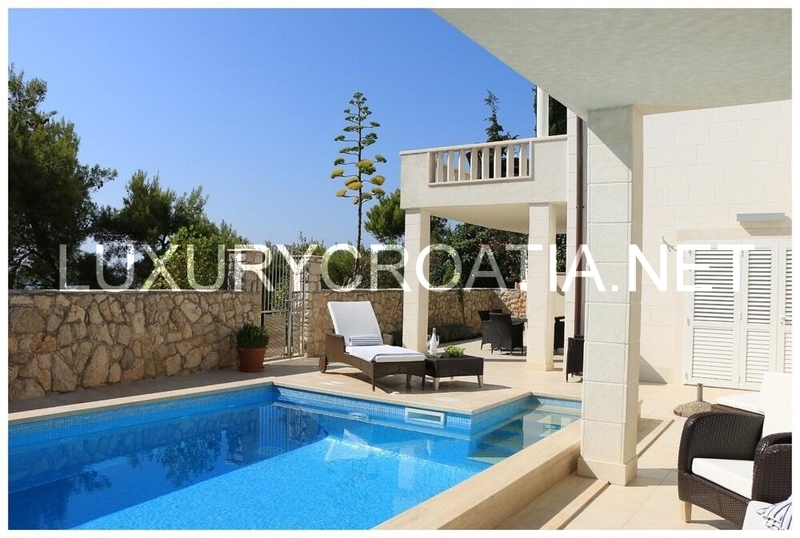 You can relax by the outdoor pool in the garden in fair weather. Free private parking is available on site. 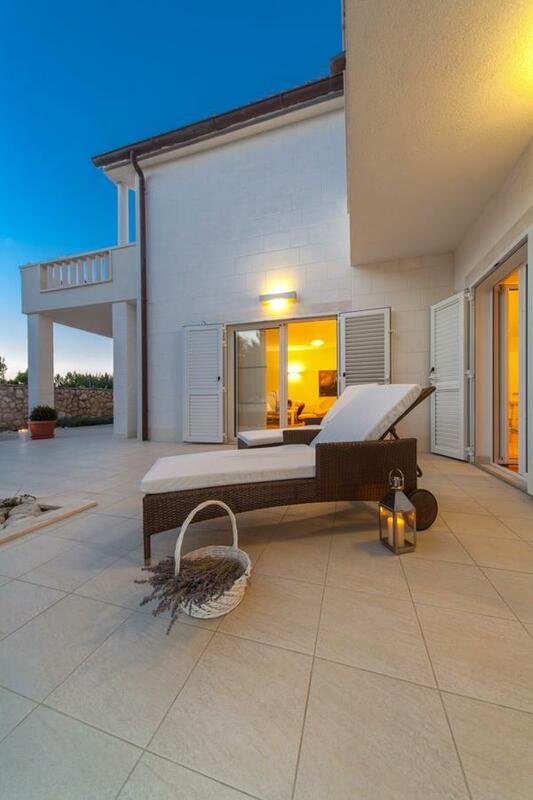 The villa is composed of 6 bedrooms and 3 bathrooms, equipped with a bath or shower. 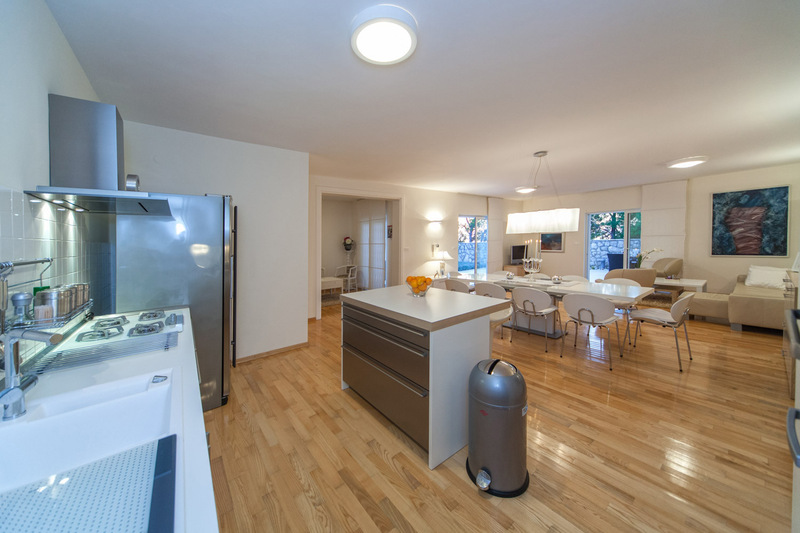 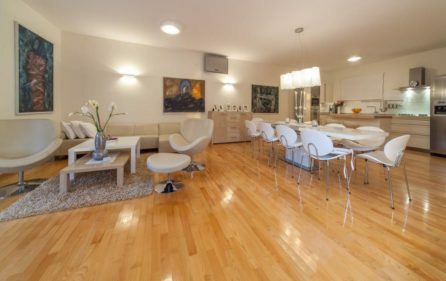 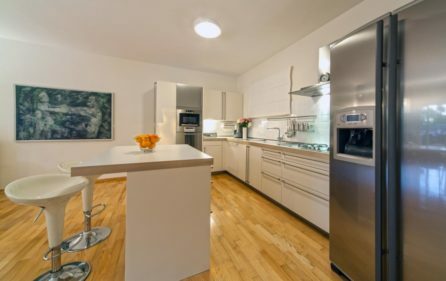 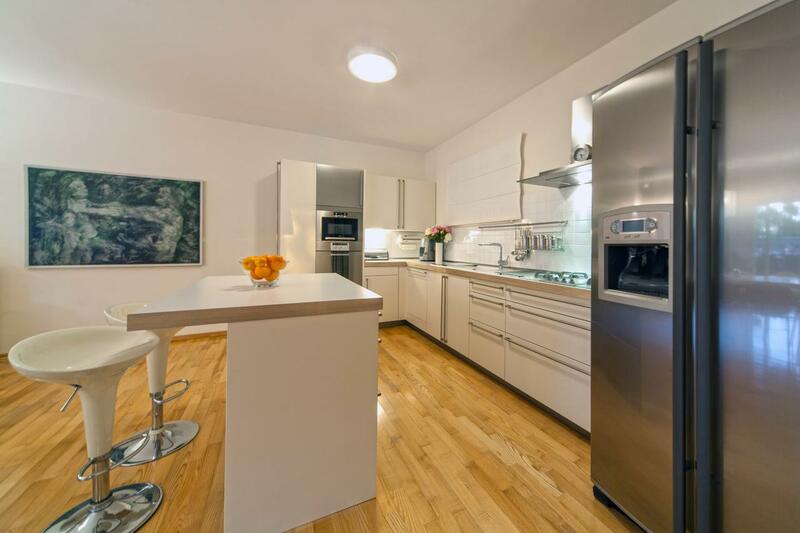 There are a seating area and a kitchen equipped with a dishwasher. 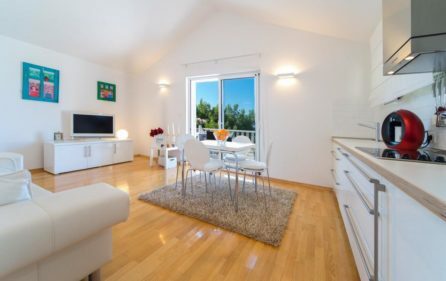 A TV with satellite channels and DVD player. 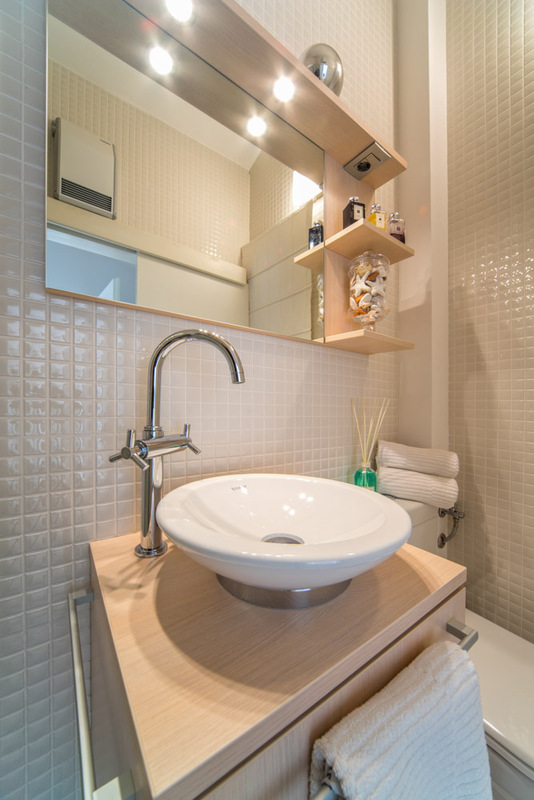 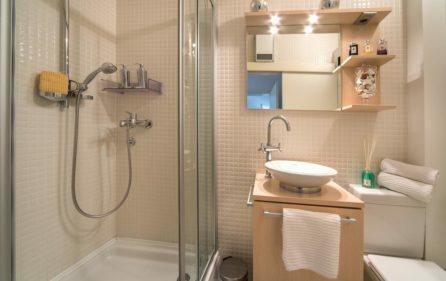 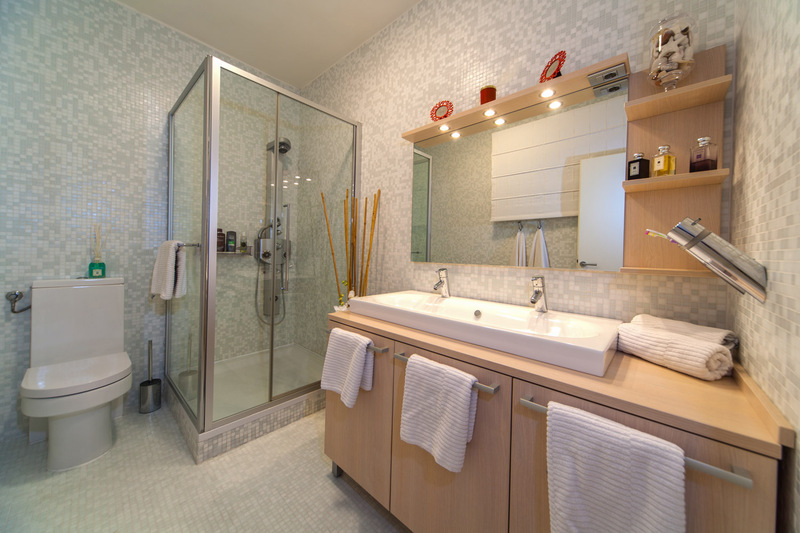 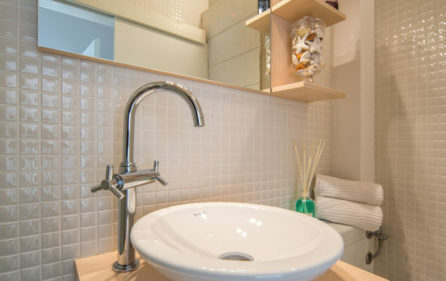 The rooms have a common bathroom with shower cabin and hairdryer. 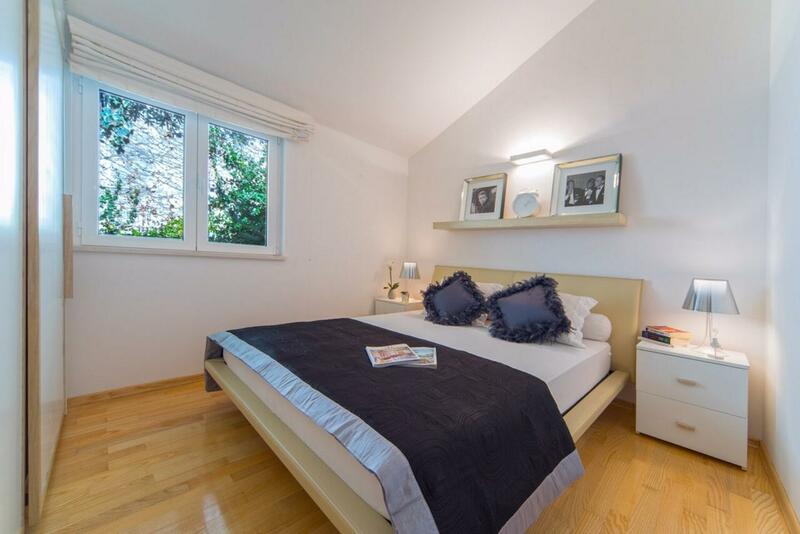 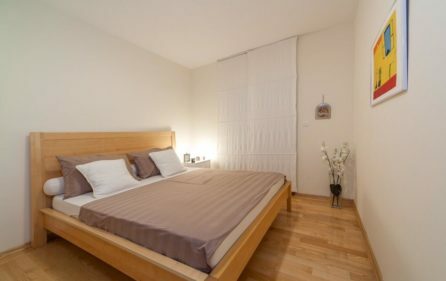 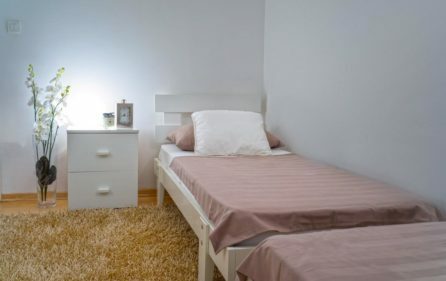 Both rooms have queen beds 160×200 cm. 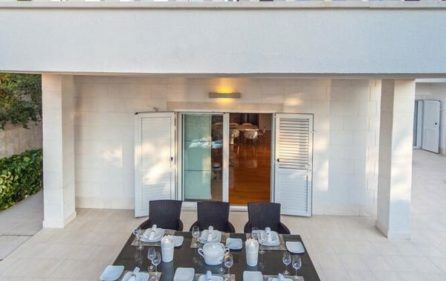 The rooms open up to the main terrace with swimming pool. 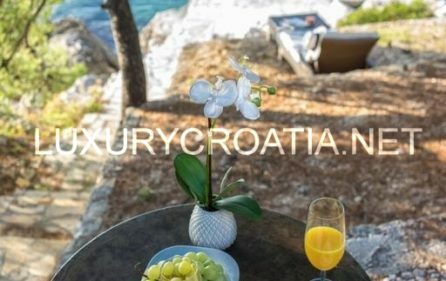 Minimum booking: 7 days. 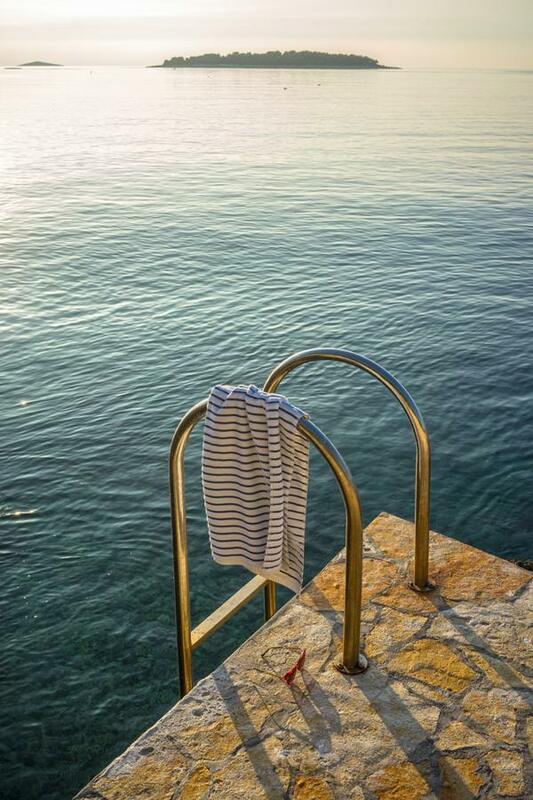 Arrivals on Saturday. 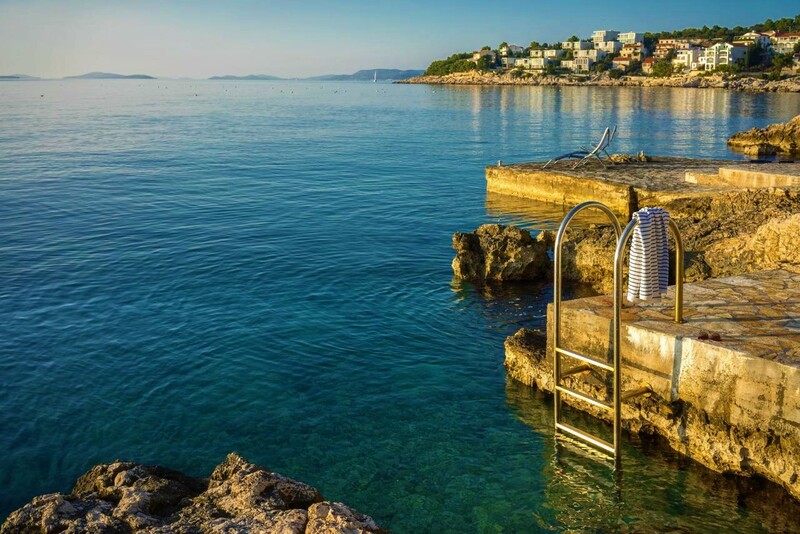 Primosten is a small town located in North Dalmatia, situated on the Adriatic coast, close to Šibenik town and around an hour away from Split. 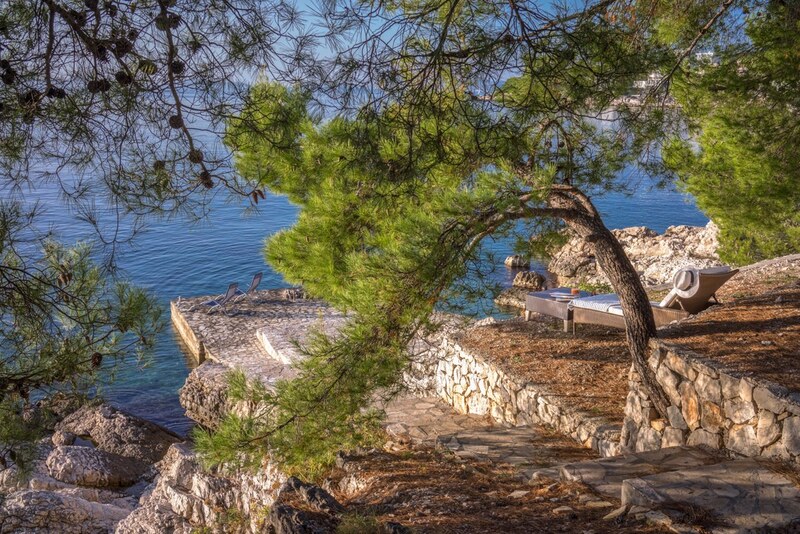 This makes it very easy to get to Primošten, either with a bus that drives often from both towns or with your own car. 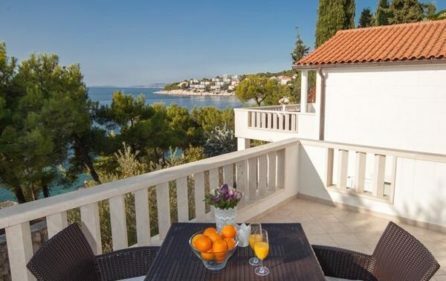 It is perfect for a relaxed holiday and as a resort it’s location allows you to base yourself and spend your days exploring either Primošten itself or other destinations that are located close to the same area, such as Šibenik, Split, Vodice, Trogir, Krka National Park and others.History influenced the way Primošten changed in the 16th century, right when the Turks invaded. 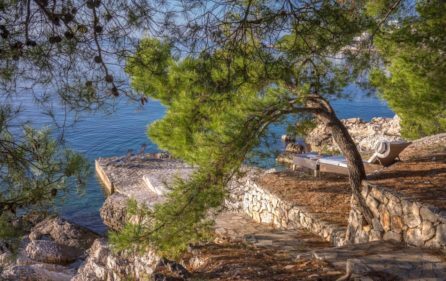 In that time, Primosten was an islet, and when the Turks started to invade, the island was protected with walls and towers, and a bridge was constructed between Primosten and the mainland.